Khory Hancock, also known as ‘The Environmental Cowboy’ is an Australian Environmental Scientist and ambassador for Al Gore’s Climate Reality Project Australia. An adventurous young scientist, Khory is passionate about the future of the planet and the people on it and truly believes young people are the solution; they will drive the innovation and creativity that is needed to solve climate change. Khory’s main mission and passion is to inspire a wide audience and, in particular younger generations, on the impact of human based climate change. 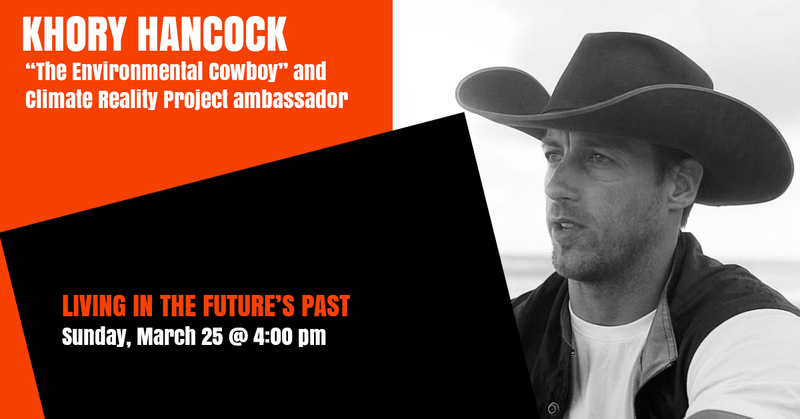 Using social media channels and speaking engagements, The Environmental Cowboy educates the audience on climate science, identifying the current and future challenges faced in Australia and globally with an aim to influence behavioural change.